Ontario Premier Kathleen Wynne hopes that discussions surrounding the ongoing harassment allegations on Parliament Hill will ultimately lead to change. Wynne hopes to make an announcement next week outlining measures to combat harassment. "The mistake we might make as a society is to think that this is relegated just to one realm," Wynne told The House. "It’s not." Wynne also said she was "a little surprised" to hear her Saskatchewan counterpart criticize her position on the $12-billion Energy East pipeline project. Earlier this week, Brad Wall expressed his concerns over plans in Ontario and Quebec to take greenhouse gas emissions into account when evaluating the project. "I am concerned about barriers for the pipeline," Wall said. "I am also very concerned with an additional item they have added to their list of seven whatever they are — conditions or demands — that Ontario and Quebec are making includes a [greenhouse gas] measure of the pipeline." TransCanada Corp. has filed an application with the National Energy Board to use a re-purposed natural gas pipeline to carry crude two-thirds of the way across the country and building a new pipeline extension that would lead to Saint John, N.B. "This is about how do we get this done in the best way possible," Wynne told The House. Wynne said she hasn't spoken to Wall since his comments on Energy East, but said she has spoken with Alberta Premier Jim Prentice. 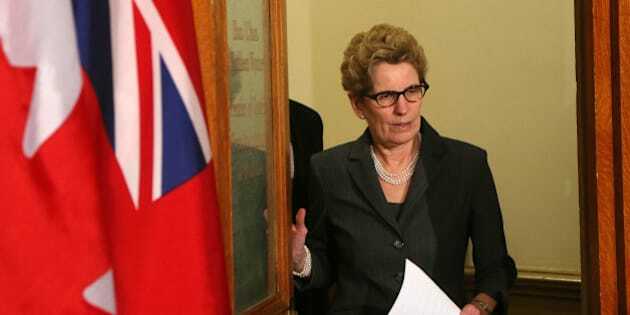 Wynne and Prentice are set to meet next week. “It’s about how do we get this done, so I’m not sure where Brad Wall is coming from on this," she said. Last week, Wynne made public her struggle to get a face-to-face meeting with Prime Minister Stephen Harper. Releasing her most recent letter to Harper has yet to pay off as no one from Harper's office has contacted her since. "Not to date," Wynne told The House. Relations between Harper's Conservative government and the Ontario Liberals have been tense of late, including during the recent provincial election campaign. “This isn’t about me personally, this is about the Prime Minister and the people of Ontario being able to have a dialogue, and I am their representative," Wynne said.